At 11-feet / almost three-and-a-half metres in length and with enough width to ensure stability on the sea and on choppy waters, the Tarka is a versatile kayak. We’ve loaded it with features to ensure performance and comfort – everything you need from a high-performance, recreational kayak. The Tarka has two watertight 8″ Screw Hatches and a large rear Tankwell to store and protect gear for overnight adventures. Multifits and Bungee Cord on the bow deck add additional storage space for lighter items. For hours spent out on the water, you’ll want comfort. The smooth surface of our Sculpted Seat is shaped and angled to support your rear and reduce pressure on the back of your thighs. This is further improved by the position of the footwell, which lies slightly lower than the seat. Adjustable Footrests accommodate paddlers of just about any height. 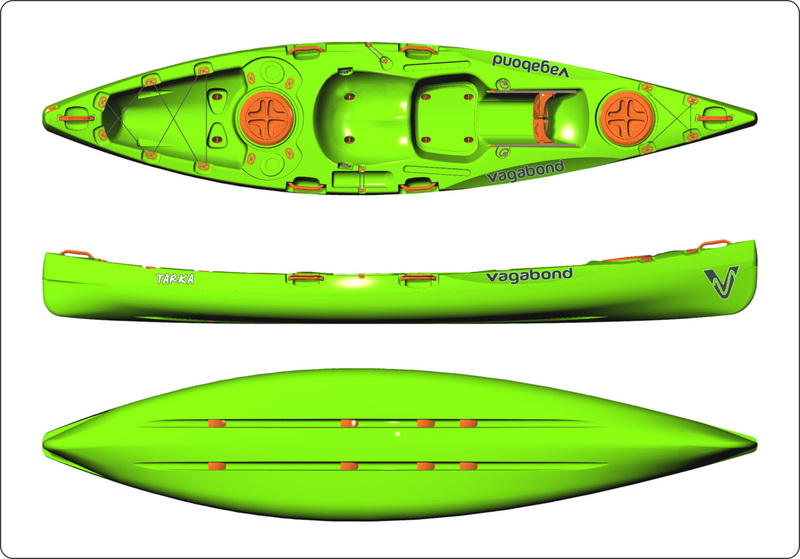 The Paddle Cutaways are a distinctive feature of our kayak range. They not only allow the kayak to feel narrower than it is, they allow for a full, natural paddle stroke without the paddle blade connecting with the side of the kayak. This is a great kayak for teens and smaller sized adults, and it is a perfect ‘next kayak’ for older children that have outgrown the Kwando.